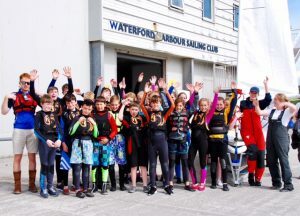 The Junior Sailing Course Schedule 2018 has been published, you will find full information pack here – summary below. that you have sailed before – get out there, have fun and enjoy your sailing. Note 4: If you book 3 or more weeks in July you can avail of a 50% >discount on August courses.